Petunias are easy-to-grow warm season annual plants that grow in beds, containers, hanging baskets or window buckets. They bloom showy flowers in a variety of colors including pink, red, white, purple and yellow. Petunias are one of the most popular plants for gardeners, but for different reasons, several types of plants like petunias too. A variety of insecticidal sprays keep pests off petunias. Bacillus thuringiensis kurstaki, or BTK, is a bacterium that occurs naturally in soils. When levels are high enough, it sickens insects like loopers, moth larvae, armyworms, cutworms, hornworms and other caterpillar pests that like to munch on petunia leaves and petals. BTK is available in many forms including dusts, liquids and granules. 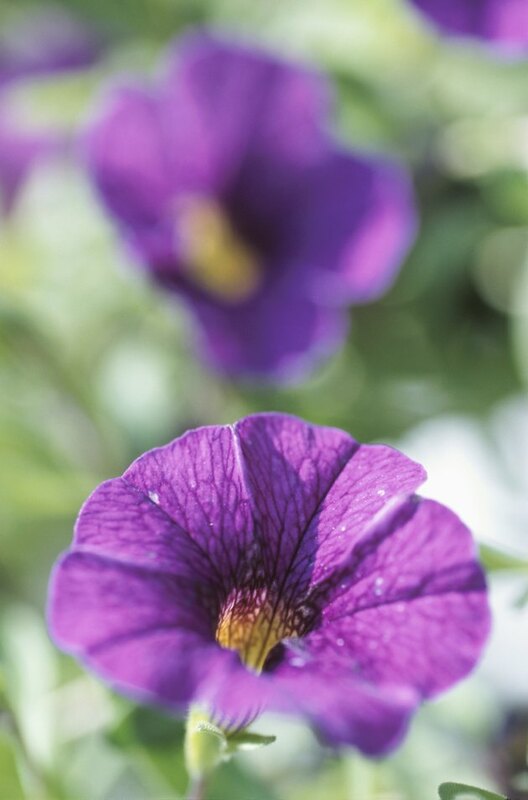 Apply the petunia insecticide to the petunia plant so that when the pest feeds, it ingests the BTK. The toxin causes paralysis, which stops the pest from feeding and kills it within a few days. Use diatomaceous earth as a broad spectrum insecticide to kill soft-bodied petunia pests like caterpillars, thrips, aphids, slugs and snails. It works by dehydrating the insect to the point of death. 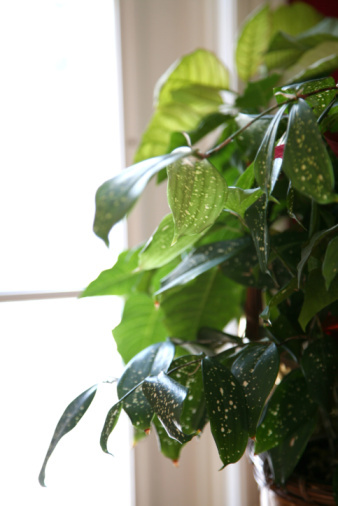 Apply diatomaceous earth to the foliage and soil. Restrict application to areas where pests are a problem because it also kills beneficial pollinating insects like honeybees and butterflies. When applying diatomaceous earth, wear a mask because it may irritate mucous membranes. 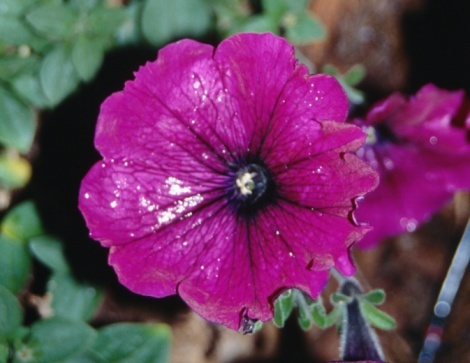 Petunia plants that have pests like aphids, mites, mealy bugs, scale and whiteflies may benefit from horticultural oil. Petunia pests and their eggs are smothered by horticultural oil. Lightweight horticultural oils provide more thorough leaf coverage and dormant horticultural oils are heavier versions for woody plants and trees. If daytime temperatures exceed 85 degrees Fahrenheit or nighttime temperatures drop below freezing avoid using horticultural oils. Spray either early in the morning or in the evening to avoid direct sunlight. Neem oil is derived from the seed of the need tree. It contains a chemical called azadirachtin which is toxic to many types of insects but is harmless to mammals. Neem oil acts as a repellant, growth regulator and insect poison. It has systemic properties that enable the petunia plant to absorb the neem's extracts into the petunia's tissues. It causes insects like leafminers and other boring insects to stop feeding because the plant becomes unpalatable. If the petunia pest continues to feed the insect is unable to molt or reproduce. Nikki Walters has been a journalist since 2008. Her writing and photography have been featured in "Points North" magazine, "fitATLANTA Health and Fitness Magazine," "Seminole Chronicle" and "Moms Like Me" magazine. Walters received a B.S. in journalism from the University of Central Florida and is a graduate of the New York Institute of Photography. She is also a Florida master gardener.